Lansinoh® Clean & Condition™ Baby Wipes are specially designed for breastfed babies who require frequent diaper changes. They provide thorough cleaning to help prevent dryness and chafing while serving as a barrier from wetness between diaper changes. 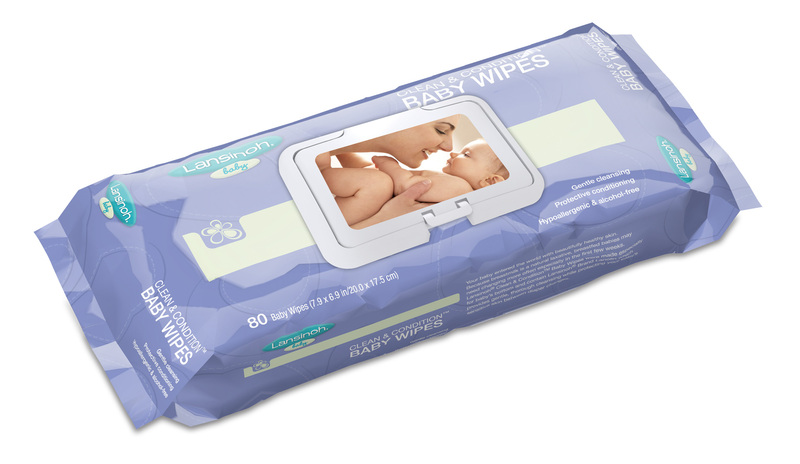 The wipes also contain Lansinoh HPA® lanolin for gentle cleaning while protecting baby’s sensitive skin. Lansinoh® Clean & Condition™ Baby Wipes are specially designed for breastfed babies who require frequent diaper changes.